Juliya here with you today with my new inspiration for December. Ah, I’m completely in love with the new collection of 12×12 Winters Edge Collection Pack !!! These are absolutely awesome backgrounds and palette! I decided to start my work with Winters Edge: Good Cheer sheet. And in addition to him, I took Winters Edge: Laser Cut Sheet and Botanical Blends – Grenadine flowers. The sheet has such a beautiful background that I used very little of everything. I wanted beautiful transitions in the background to take part in creating the composition. 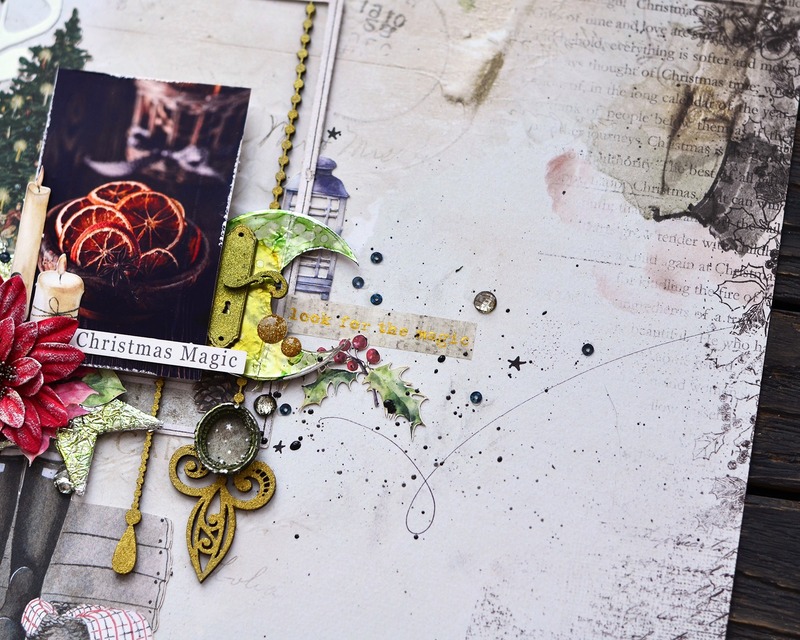 That’s how my layout about the magic of Christmas turned out.